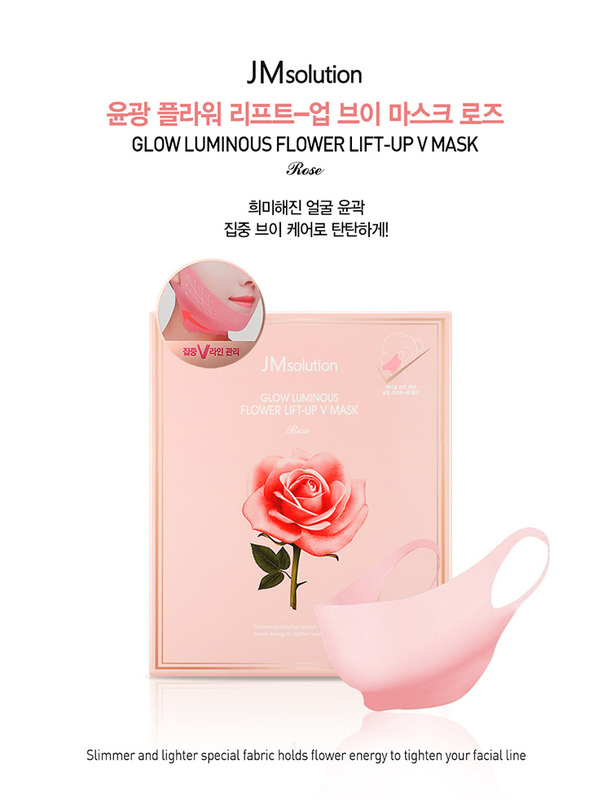 Radiant your Skin Care with the [JM Solution] Glow Luminous Flower Lift-Up V MASK Rose 10pcs! we aim to provide you best korean products to take good care of your skin, including Cosmetics, Masks, Face Masks. Hydra Face Masks online. Glow luminous flower lifting care to provide vitality and cooling effect by sticking to your facial line. 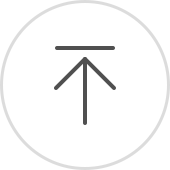 Light, a slim and elastic sheet for loss of firmness to make firmed and uplifted appearance. Contains rose hybrid flower extract and flower energy to provide hydration for a revitalized complexion. 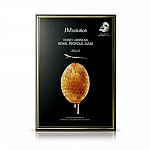 Provides cooling effect rapidly with vital gel and gives hydration and radiance to your skin. After cleansing the skin, attach the lifting sheet from the center of the jaw. Apply it by giving the same pressure and pull slowly to hook both rings on your ears. After 30-60minutes, remove the sheet and gently massage both cheeks.